Crafted from soft cotton jersey fabric, this white blouse from Just White would be an extremely comfortable update for your separates collection. 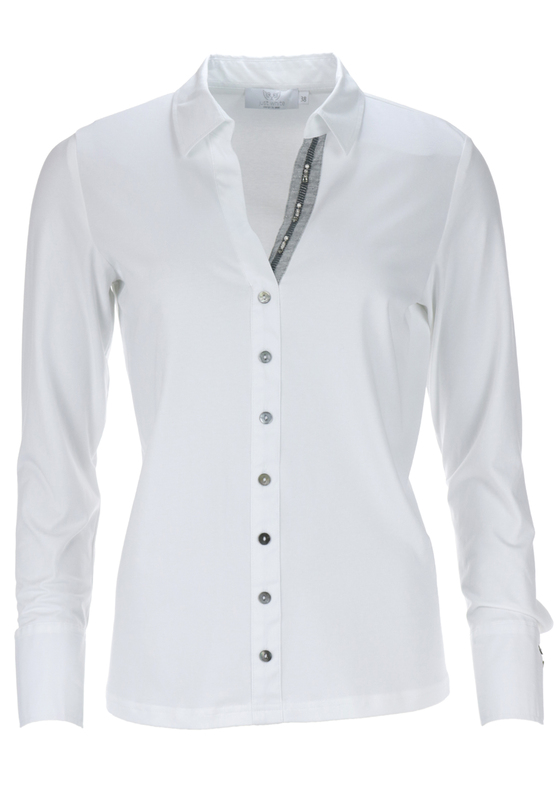 Perfect for work or weekend. 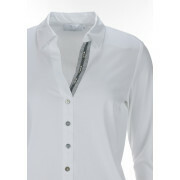 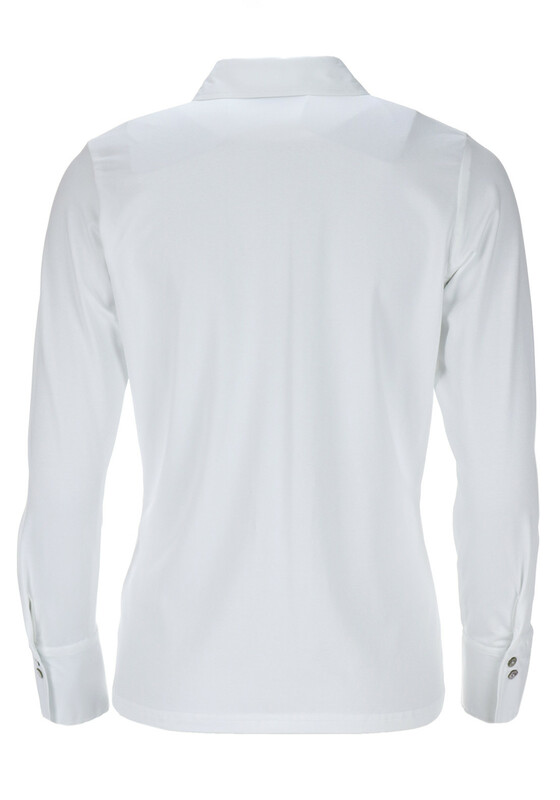 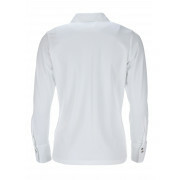 Designed with a classic straight shape and featuring long sleeves, a turn down collar and open neckline with full button fastening.